After 12 weeks, kittens have had their basic inoculations and developed the physical and social stability needed for their new environment. 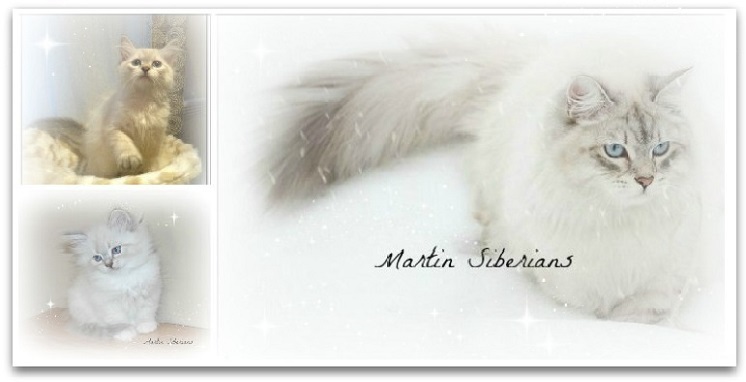 Our Purebred Siberians kittens are priced individually, depending on allergens degree of the kitten. 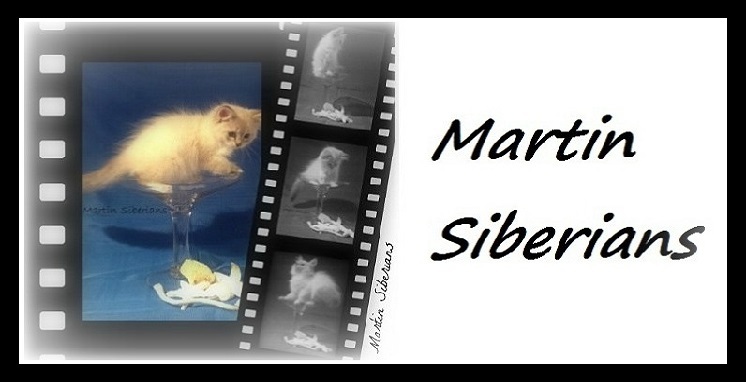 All our animals are sterilized before leaving the cattery unless you wish to buy the reproduction rights. 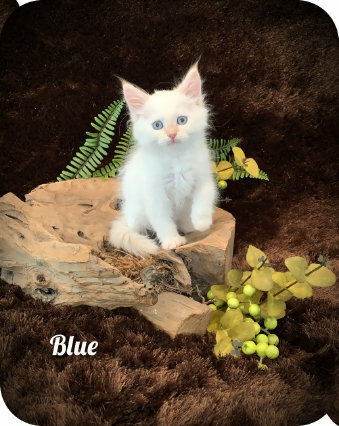 Your kitten is purebred since the parents are registered and possess a truthful ancestry supported by an authentic pedigree. 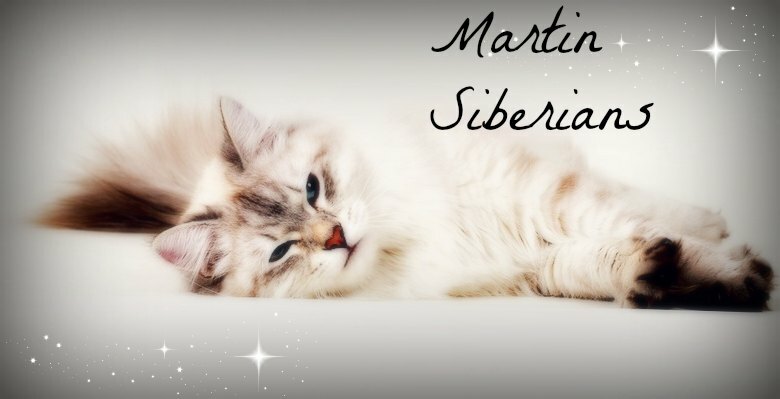 Your kitten is registered in his country of birth and is part of the genealogical records of purebred cats in Canada. 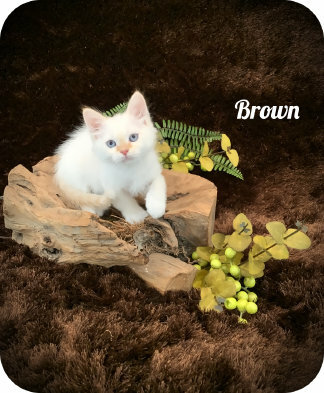 Your kitten is registered with Canada Cats Cats, the only Canadian feline association that seeks incorporation under the Federal Animal Pedigree Act. Your kitten is microchipped and registered in the North American Pet Home Today registry for added security in case of loss or theft. 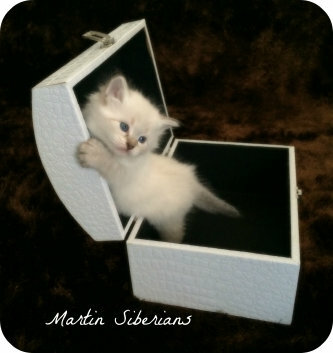 Your kitten is perfectly sociabilized and ready physically and mentally to start a new life because he leaves the cattery at 12 or 13 weeks. Your kitten is fed high quality protein food. 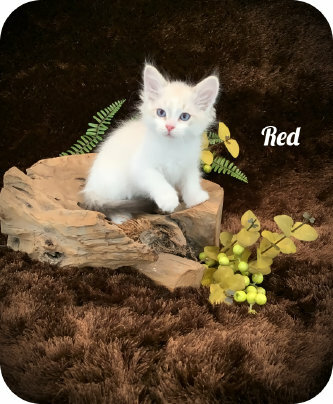 Your kitten is free from deadly diseases such as fiv (feline immunodeficiency virus also called cat aids) and felv (feline leukemia virus) since parents are tested negative and the external mating service does not is not available. Your kitten is guaranteed for 7 days for viral and parasitic diseases. Your kitten is guaranteed one year for hereditary and congenital diseases. Your kitten leaves the cattery with a truthful registration certificate, a sales contract, a health book, a food sample, a toy and a blanket with the smell of the mother. Your kitten leaves with the first basic vaccine and the first deworming and personalized service for life! Contact us now to visit or apply for the reservation of your little angel! Pixel, Bailey, Gloria and GiGi's kittens. Our kittens could fly with Air Canada cargo in a major airport in some cities. The cost of the rabies vaccine, health certificate for transportation, cage, water and food bowls, and transportation is $ 500 extra. Simply contact us by email for any information. Ariel's kittens were born on February 16, 2019. Click on the picture to follow the evolution of kittens from week to week. Here is the list of necessary items to get for the well-being of your new kitten. Pixel's kittens were born on March 07, 2019. Bailey's kittens were born on March 21, 2019.